Introducing a clearer, more concise, and more effective tool for the installation of sprinkler systems: The 2019 edition of NFPA 13. Develop sprinkler defense for any occupancy using the most up-to-date standard -- now completely reorganized based on user needs in the modern built environment. NFPA 13, Standard for the Installation of Sprinkler Systems, has undergone more than 60 revision cycles, reflecting more than 120 years of fire experience and new water-based fire protection technologies. Organizationally, the standard was ready for a change! A task group of water-based fire protection experts tackled the challenge and the 2019 edition of NFPA 13 is the result. In a major update, NFPA 13 has been fully reorganized by structuring the technical content in the order you need to do your job. NFPA 13 is reorganized from cover to cover, creating clear separations in subject matter and a more logical flow for sprinkler system planning and design. This edition of NFPA 13 makes it easier to locate and apply the latest requirements for automatic sprinkler system design, installation, and acceptance testing; hanging and bracing systems; underground piping; and seismic protection. The updated NFPA 13 helps designers, engineers, contractors, and installers work smarter to develop fire sprinkler defense for any occupancy. Content is organized logically by sprinkler technology, storage method, commodity, and how you perform your job. Chapter titles are more descriptive and reflect the terminology in use today. Duplicate content has been removed to help eliminate confusion. A section-to-section number comparison of the 2016 edition to the 2019 edition helps you navigate the reorganized Standard. 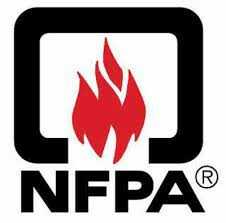 NFPA 13 continues to support your hard work to help prevent fire deaths and property loss.